In 2014, I presented a paper at the British Education Research Association’s (BERA) annual conference. Shortly after the presentation, I was approached by an editor with Palgrave MacMillan and asked if I was interested in publishing a book as part of the Pivot series on citizenship education in Wales. I was delighted by the opportunity to write about this particular aspect of Welsh education. 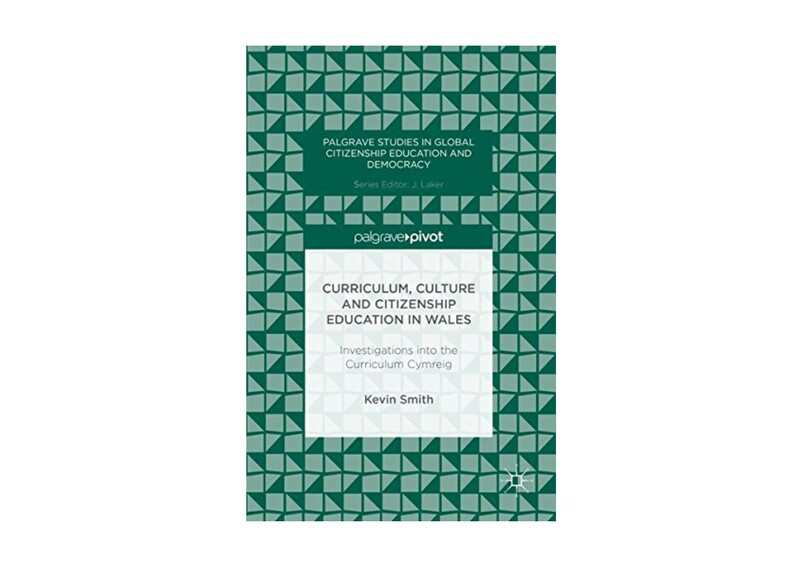 This book is a culmination of seven years of research examining how culture and citizenship are theorised, promoted and learned in schools in Wales. Currently, Wales possesses a distinctive approach to culture and citizenship through three curricular initiatives: Education for Sustainable Development and Global Citizenship (ESDGC), Personal and Social Education (PSE) and the Curriculum Cymreig. The research in this book focuses primarily on how Welshness is conceptualised and presented to teachers and pupils in Wales. Additionally, the book presents findings regarding how young people discuss their orientations to Welshness, their appraisal of the impact of schooling on their attitudes towards Wales and Welshness, and the challenges teachers in Wales face in meeting the requirements of the Curriculum Cymreig and meaningfully engaging their pupils in discussions of cultural identity and citizenship. The findings of policy analysis, and data collected through qualitative and quantitative methods, reveal the need for a more comprehensive and sophisticated theorisation of culture and citizenship. Chapter one introduces the origins of citizenship education in the UK and how concerns in the other home nations regarding young peoples’ engagement with politics, community and concepts of citizenship were interpreted through additional concerns over cultural and national identity in Wales. Chapter two contains a brief history of education in Wales, emphasising how the hegemonic relationship with England continues to contribute to contemporary curricular development, and how cultural conservation has existed as an organisational theme in the continued development of an educational system in Wales. Chapter three introduces the Curriculum Cymreig, an initiative that promised a rising generation of Welsh pupils who appreciated living in Wales and understanding their place among a global community. With the advent of this appreciation and perspective, pupils would hopefully develop a more nuanced and sophisticated understanding of Welshness and the cultural distinctiveness of Wales and its people. Chapter four provides evidence from a number of studies including ethnographic projects with students and teachers, a critical analysis of the guidance for teachers for implementing a Curriculum Cymreig and a longitudinal study involving nearly 900 Year 8 and Year 10 pupils in nearly 30 schools across Wales. The findings suggest the Curriculum Cymreig lacks in theoretical development, and the majority of pupils, students and teachers do not perceive the intended effects of the Curriculum Cymreig in their schooling experience. In Chapter five, the book emphasises the importance of “moving beyond” current representations of Welshness and adopting more philosophical approaches to thinking about citizenship and cultural identity for pupils and teachers. Part of this approach includes acknowledging the technical rationale dominating citizenship education curricula and a recommendation to incorporate emancipatory forms of pedagogy that promote critical and political literacy. The intention of this new direction is to engage young people and their teachers engage in a critical pedagogy of identity that enables them to challenge reified representations of Welshness (and other cultural identities), deconstruct the ways in which these identities are comprised and promoted, and construct new and inclusive approaches to theorising representations of self and others. As the new national curriculum for Wales is being developed, evaluated and eventually implemented in schools across Wales, it is my hope that more rigorous and sophisticated approaches to conceptualizing, discussing and learning about culture, identity and citizenship will take root in the day-to-day experiences of both teachers and pupils in Wales.